Things I liked: Once you get a scope on this, it is simply a tack driver. In a gun vise on a bench, every pellet goes into the same hole at 8 meters. Every kind of pellet from special target to bulk field were the same - they hit the exact same hole. The trigger is butter - no adjustment required. With the internal regulator, the chrony shows very consistent velocities from 3000 psi down to 1000 psi. 8.64gr avg 780 fps, 10.65gr avg 720 fps. The fully articulated stock has many adjustments and takes some time to fit properly - but when you do, this rifle becomes an extension of your body. A great rifle so far. Can't wait for the 50 meter testing. Things I would have changed: The price of course. FWB makes amazing rifles and charges a good deal for that amazement factor. And it is worth every penny. What others should know: At this level the performance of rifles is nearly identical between manufacturers and the choice of the shooter is essentially that of personal preference. I like FWB, how they are made, how they operate, and how they fit. They have a long history of producing durable, serviceable rifles (and spare parts) that cannot be out-shot by a human. 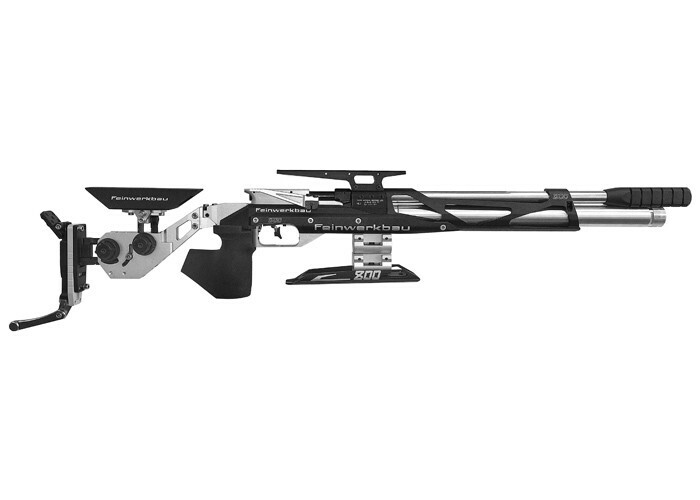 Simply put, in a competition, this rifle is not a variable to be considered - it WILL put the pellet where it is aimed when the trigger is pulled. I will most definitely be handing this rifle down to my 11 year old son when the time comes for me to stop shooting it. Oh yeah - did I mention when paired with a Hawke Sidewinder 30 SF 8-32x56 scope, it looks like something from Star Wars and gets mostly "WTF" as the first comment? Mostly by onlookers not familiar with the sport of field target and primarily due to the scope with the sunshade attached being only 4 inches short of the barrel tip. My Friend, do you make tests to 25meters or more? About Groups? i need know because i think use it to USBR... can you help me?